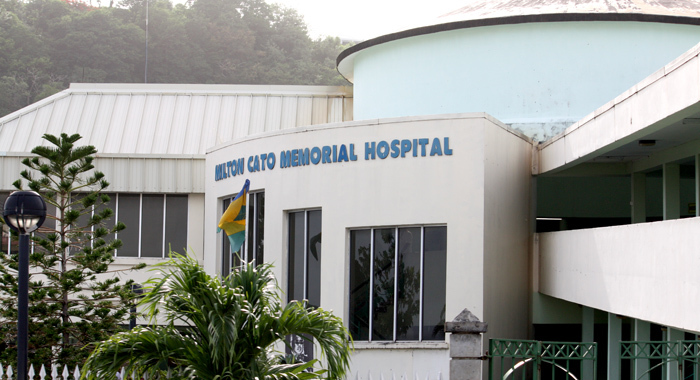 A 21-year-old man says he is planning to take legal action against the Milton Cato Memorial Hospital (MCMH) after they lost a severed finger that he told them he wanted reattached to his body. Najee Burkley, a butcher, of Layou, told iWitness News on Wednesday that his right index finger was severed at his work place, Massy Stores, in Kingstown on March 12. He said that the incident occurred after 2 p.m.
“I went down by the hospital to A&E and when I went inside with the finger, a nurse came and band up my hand and tek the finger — because I tell she I want it go back on. Burkley said that after waiting for some time, he asked the nurse where the doctor was as his hand was still bleeding and the blood had soaked through the bandage. He said that the nurse told her that the doctor was writing up other cards. He said that he continued asking for the attention of the doctor and they told him that he was writing up cards. Burkley said that when he returned in the morning and went to see the doctor as instructed, the doctor removed the bandage and inspected the injury. He said the doctor told him that he would have to undergo surgery. Burkley said he returned to work and told the health and safety officer that he had to undergo surgery at 2 p.m. He said he called the place in Arnos Vale and asked them if to bring the severed finger and they told him yes. 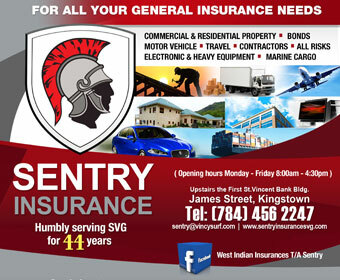 He said he returned to the hospital along with Massy Stores’ health and safety officer to collect the severed finger. Burkley said that his aunt went to the hospital and began “making noise” about the development. Burkley told iWitness News that he is not pleased with the development. “I’m upset about it because I been want my finger go back on. For me, I planning to sue them for my finger,” he said. However, he has not contacted a lawyer as yet. “I feel bad because I lose a body part and I don’t want to lose any body part,” said the man, who is still on sick leave. iWitness News contacted MCMH twice on Wednesday for a comment on the matter. We were told that the hospital administrator, Grace Walters is out of state and the deputy administrator, Andrew Williams was on lunch. We were later told during a second call that Williams had “stepped out a bit”. It’s about time somebody stand up and let the medical facility know that the level of care is not up to standard. 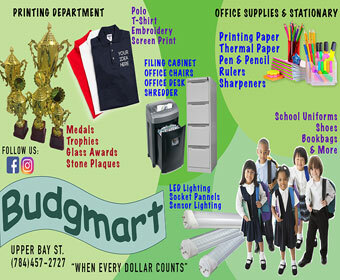 I am praying for a trauma hospital and trained staff members for the medical field in SVG . When people like me refer to SVG as a shi*hole country because stuff like this is everyday business, we are called haters of the country and the people. Go figure. Is time for citizens who treated very poorly due to the lack of proper medical care to sue the MCGH. Recently a very close family friend member of mine lost her beloved husband due to negligence of well trained medical staff who was on Ambulance duty when arrived at the scene where the patient was lying on the hard cement on the street with out being assessed or taken to emergency for further observation of care. That gentleman was stil alive having pulse, still breathing in fact he was still alert from what I was told by his dear belove Wife. On their arrival at the MCGH asking for Oxygen up to that perticular moment no Oxygen didn’t admistered to patient who wss in such critical condition betweeni life and death as a result due to the lack for that patient not received proper medical care from doctors and other trained staff result of death. It appears that they don’t have a passion for the job, so they do as they like, and this is where unprofessional for the job manisfest. Sad to say . . . what are the doing to fix the issues? Our health service needs a complete overhaul. Last year it was recorded that two persons died of a fractured foot. Can you imagine this. Someone has to start somewhere in letting people/institutions be responsible for their actions. Young man you might be the first, and I agree with your decision. That first nurse seem to have confused the preservation methods.Sounds like she was preserving a medical specimen for observation purpose rather than re-attachment.’She placed it in a cup with a clear liquid? It was supposed to be placed on ice to slow down the decomposition process and hopefully endure that it was viable for re-attachment.They should have checked at the morgue or the histology lab ( if they had one) because that nurse sounds like she placed the finger in one of the alcohol, formaldehyde etc. Hopefully she was smart enough NOT to have placed in in water or acid…Then we know she was an anthropology student masquerading as a nurse!!! Sad to say Vincentians allow themselves to be treated this way time and time again without holding the powers that be responsible.These grievances are lamented for years and then when the elections are called they suddenly experience amnesia and vote them back time and time again and the cycle of complaints begins again.Typical Stockholm syndrome Vincentians are suffering from.Last time they voted against a chance of better healthcare they made a mockery out of it.I hope that the next election we remember all these grievances we are presently citing..Big promises of Wharf at Rose place will again take precedence again over healthcare as the airport did.So what do we really want as a people? Heading into another election season soon, these are things to ponder.Dont get caught up in the hype because we are the ones who have to live another five year under the decision we make.The powers that be and their family don’t choose the hospital they travel abroad reason is that they don’t trust the services at the hospital,so asked your selves why should you and yours.